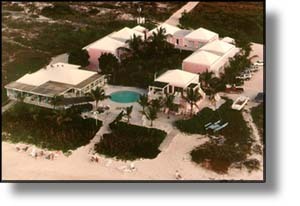 Turks & Caicos Holidays Inc.
Turks & Caicos Holidays, Inc., a family-owned business, was established with one goal in mind--to increase tourism to The Turks & Caicos Islands. Because our officers are originally from the islands, we have the unique ability to create an experience unequaled anywhere in the travel marketplace. And, as a one-destination tour operator, Turks & Caicos Holidays can guarantee excellent service and exceptional value, and we are committed to satisfying our clients' needs. Our unique, custom-designed land-inclusive packages provide a totally relaxed and memorable holiday. You not only get to enjoy 12 miles of pristine white-sand beaches, but also spectacular watersports, fine dining, and a host of other leisure activities. We offer numerous special interest programs, F.I.T. 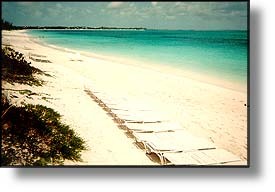 tours, and group programs to Providenciales, Turks & Caicos Islands. 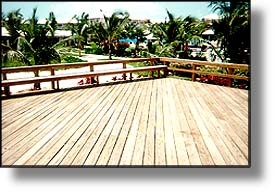 From Providenciales, we can arrange excursions to North Caicos, Middle Caicos and Grand Turk. Parents, kids, and other family members can share an exotic holiday in the Turks & Caicos Islands. Providenciales offers something for everyone--beach cruising, beachcombing, and sunset dinner cruises, among other activities. Seniors will find a true paradise in the Turks & Caicos Islands, where you will enjoy peace and tranquillity in an unspoiled, uncrowded environment. Still largely unexploited and its resources still intact, the Turks & Caicos Islands offers eco-tourists, environmentalists, nature lovers, and history buffs a rich and rewarding experience. Educational and cultural tours include visits to natural parks, nature reserves and sanctuaries (preserved and protected by the government), and an enjoyable encounter with "Jo Jo," the playful Atlantic Bottle Nose Dolphin who resides in Grace Bay on Providenciales' north shore. The Turks & Caicos Islands is one of the top ten dive destinations and the number one snorkeling destination in the world. Providenciales has some of the most spectacular dive sites within the islands, where you will encounter frolicking dolphins and giant Humpback Whales. Along the walls of Grace Bay, Northwest Point, and West Caicos, among others, you can see brilliant orange elephant sponges, go shark sightseeing, or simply just enjoy being amidst the abundant colorful marine life. The waters that surround the Turks & Caicos Islands are a sailors and sports fisherman's paradise, providing a fishing experience that you'll never forget. Here, you can light angle tackle, or explore the deep blue for swordfish, sailfish, blue marlin, white marlin, and much more. The annual Billfish Tournament, held in July, draws avid fishermen from all over the world in ever increasing numbers. Tee-off on the lush green fairways of the Provo Golf Club's fabulous 18-hole championship golf course on Grace Bay in Providenciales. The Club is one of the finest in all of the Caribbean, with an elegant Clubhouse featuring an air-conditioned restaurant that is the perfect setting for your midday dining pleasure. Providenciales is the perfect tropical setting for your special day. Whether you plan a private affair, or invite other guests to share the occasion, we can make all arrangements for the wedding ceremony, from minister (or justice of the peace) to catering and floral arrangements. Providenciales is an idyllic and romantic honeymoon getaway, with uncrowded white-sand beaches, and a peaceful, natural and tranquil environment. You can also enjoy romantic dining at several resorts and restaurants, press your luck at the Port Royal Casino, or just dance the starry nights away to the beat of local bands. Couples can celebrate a special anniversary, renew marriage vows, or just unwind and spend quality time together in a romantic, peaceful setting. Providenciales is the "fun in the sun" getaway for discriminating singles, offering numerous sporting activities and, at the end of the day, you can relax with a delicious rum punch, or dance the night away to the beat of local bands. 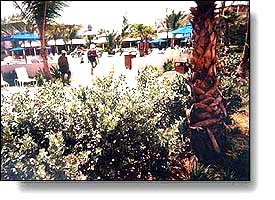 If gaming is your forte, the Port Royale Casino provides an intimate, casual atmosphere, with a tropical decor. You can try your luck at craps, roulette, black jack, or one of the more than 80 slot machines. This very special package for the truly adventurous traveller offers a scenic aerial tour of Grand Turk, Middle Caicos, North Caicos, and Salt Cay. Why not plan your next vacation with Turks & Caicos Holidays. We are dedicated to making your holiday dreams come true. Turks & Caicos Holidays, Inc. Copyright (c) 1996-1997 interKnowledge Corp. All rights reserved.